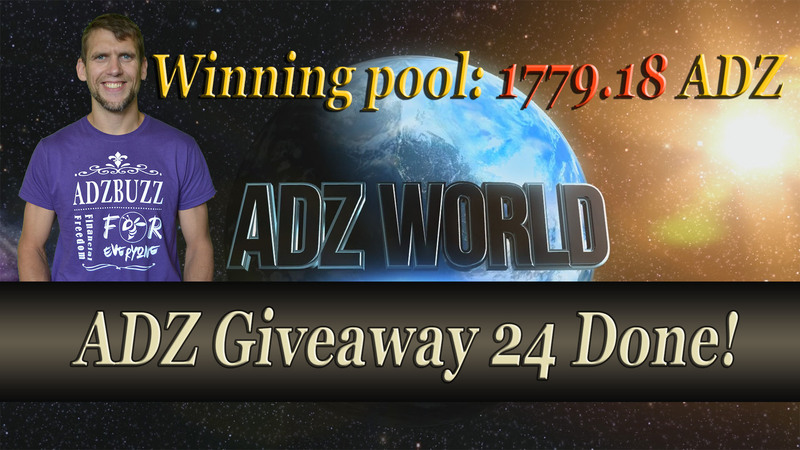 The next video in ADZ World's ADZ Airdrop: "ADZ Giveaway 24 Done" Like and/or comment the video in YouTube and earn up to 25 ADZ. After liking and commenting, don't forget to comment this post that you liked and/or commented as it is required to earn :) Go to this link and share that post to your social media and earn another 5 to 10 ADZ. You have to share the link of your share to this post to be qualified for the earnings. Go to this link https://adzbuzz.com/vote/3131623/adz-giveaway-24-done-over-1700-adz-was-given-away-%C2%BB-adz-world and share that post to your social media and earn another 5 to 10 ADZ. You have to **share the link** of your share to this post to be qualified for the earnings. Arthur Neguem on September 3 Liked, commented and shared https://www.facebook.com/fraisboy/posts/2082931135052935?